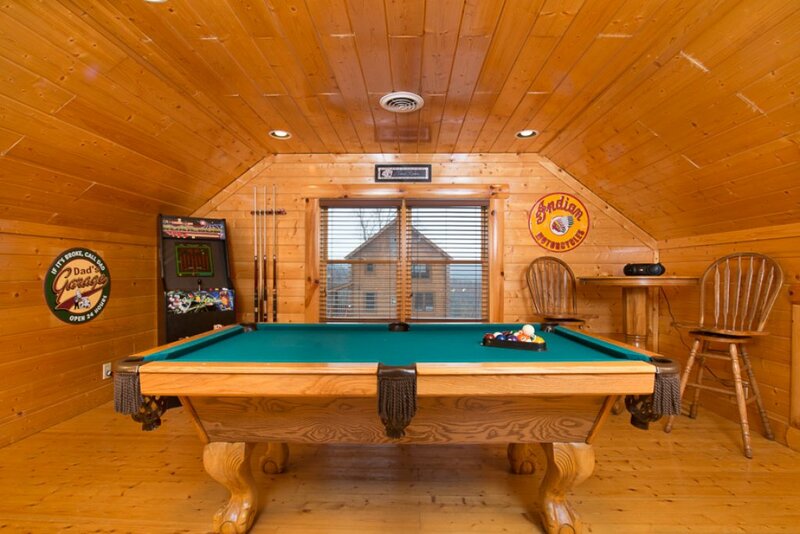 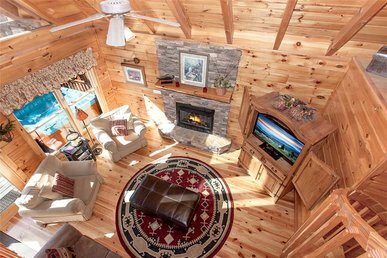 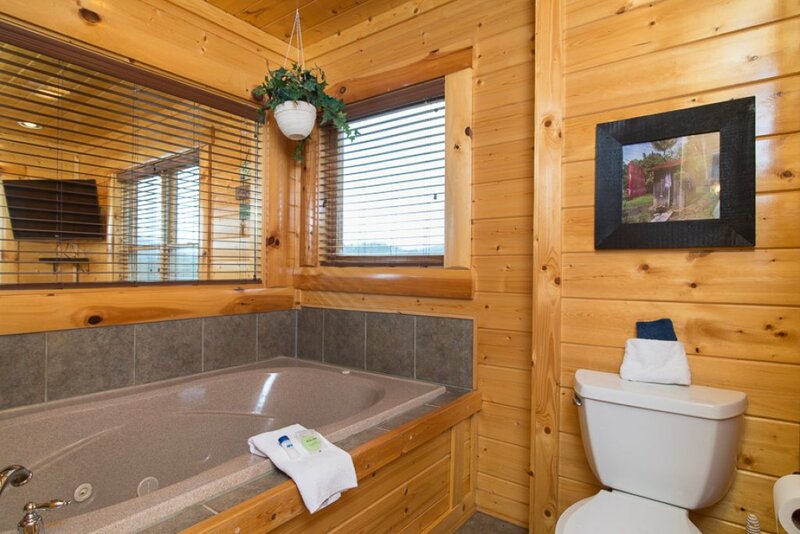 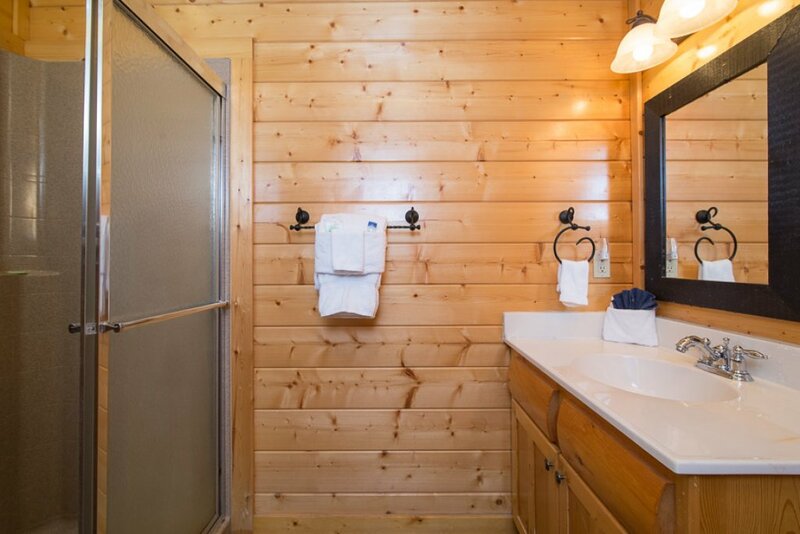 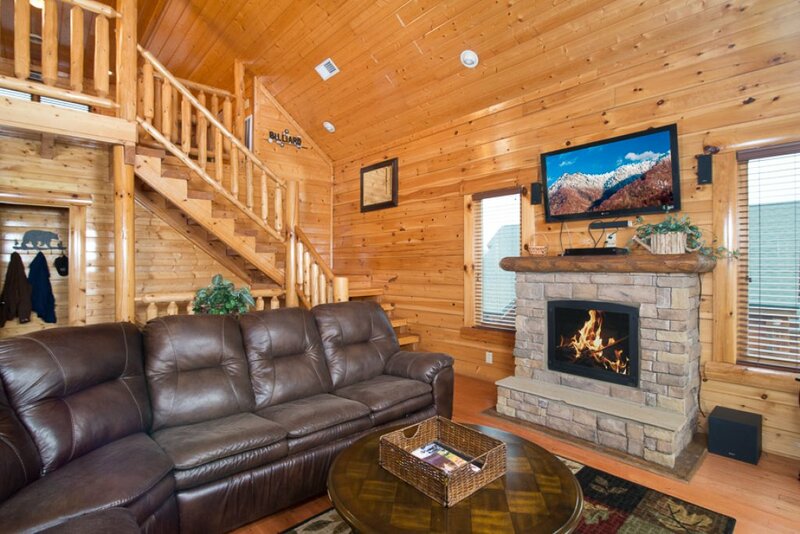 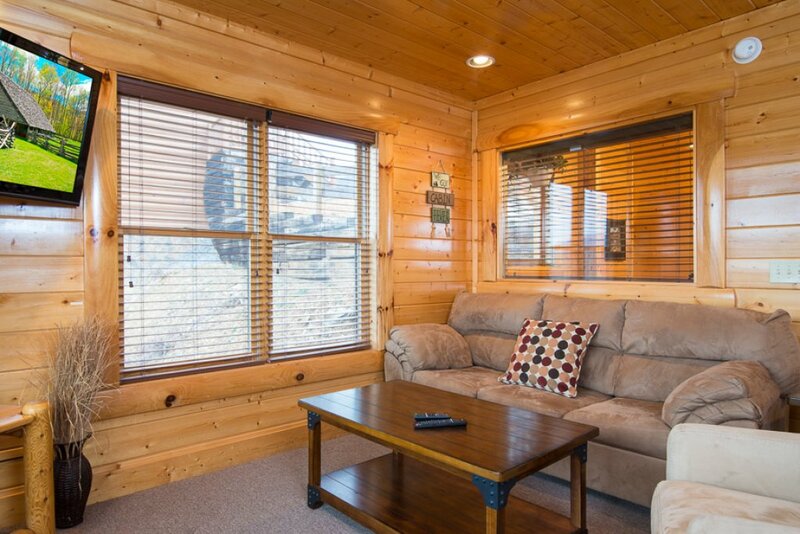 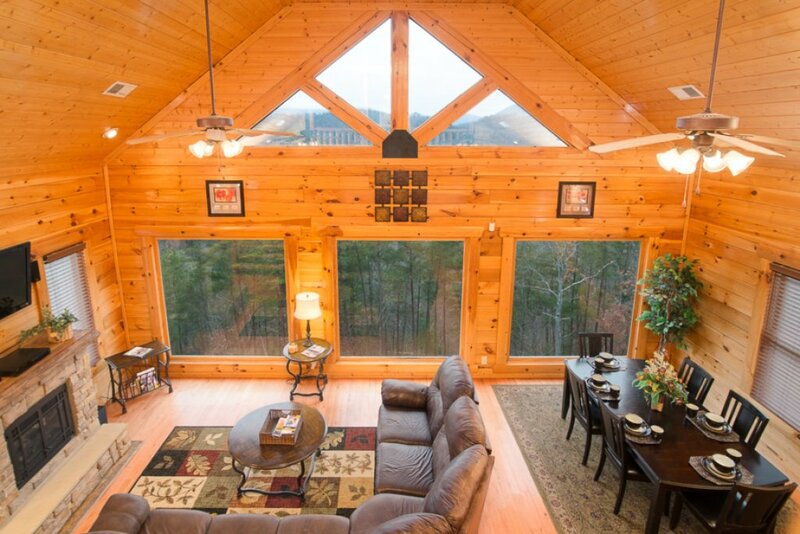 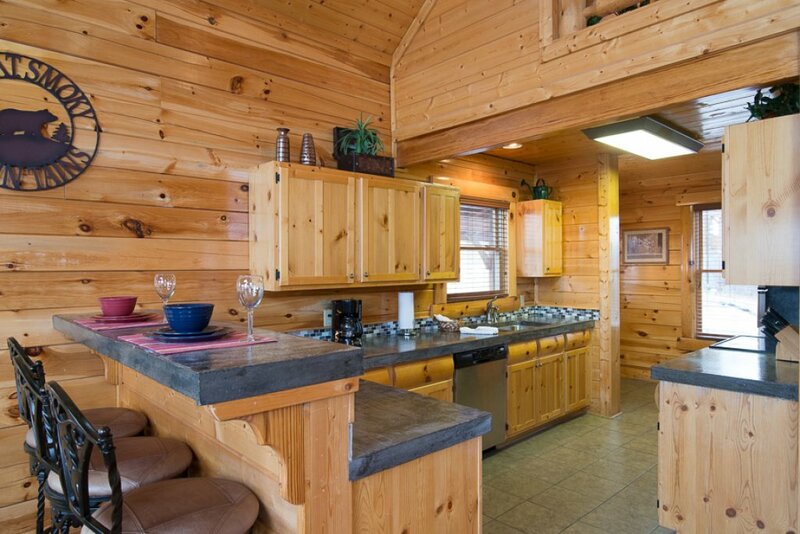 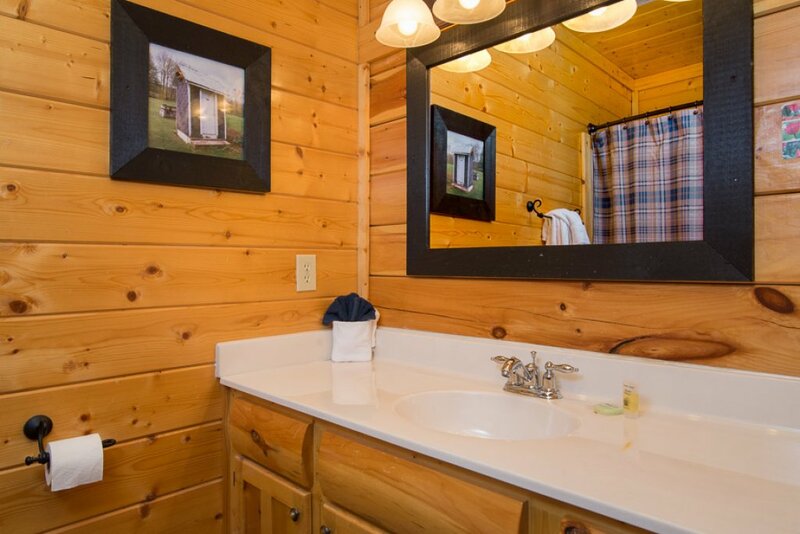 Paradise Retreat is a gorgeous log cabin overlooking the majestic Wears Valley. 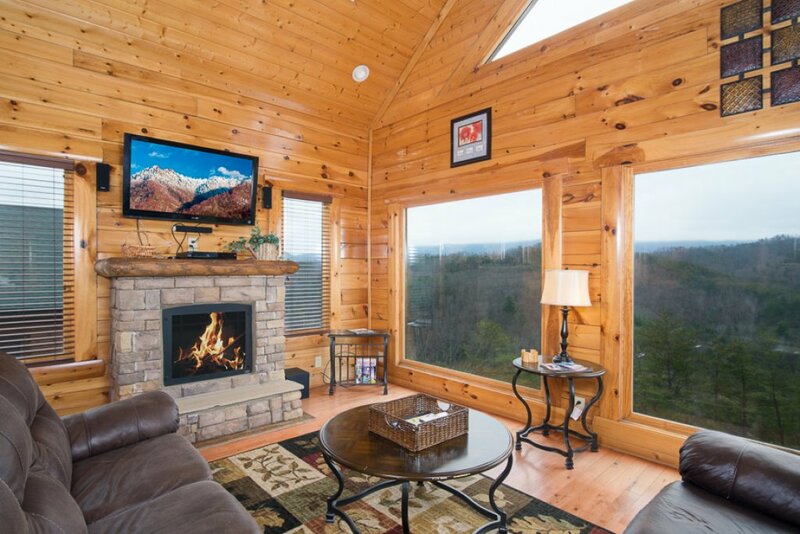 Be greeted by a wall of windows offering striking mountain views in this rustic mountain getaway that easily sleeps 8. 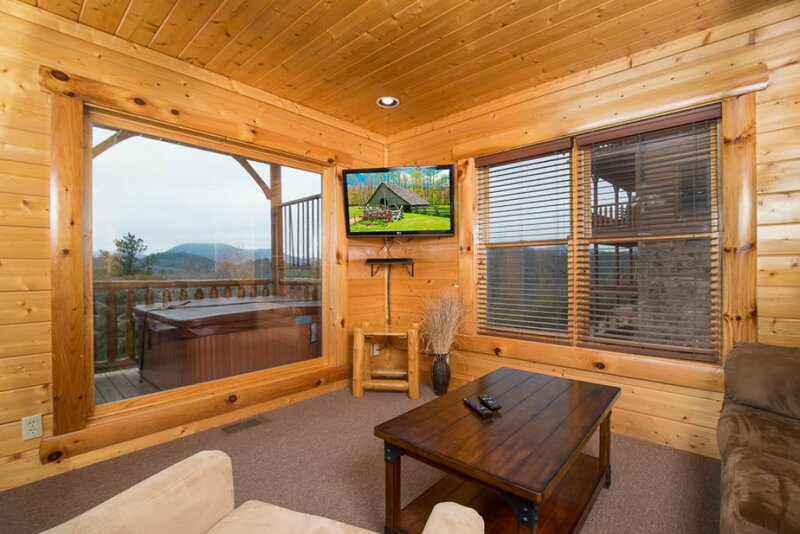 Fully equipped with modern features such as flat screen, DVD players and sound system your stay will be as comfy as home. 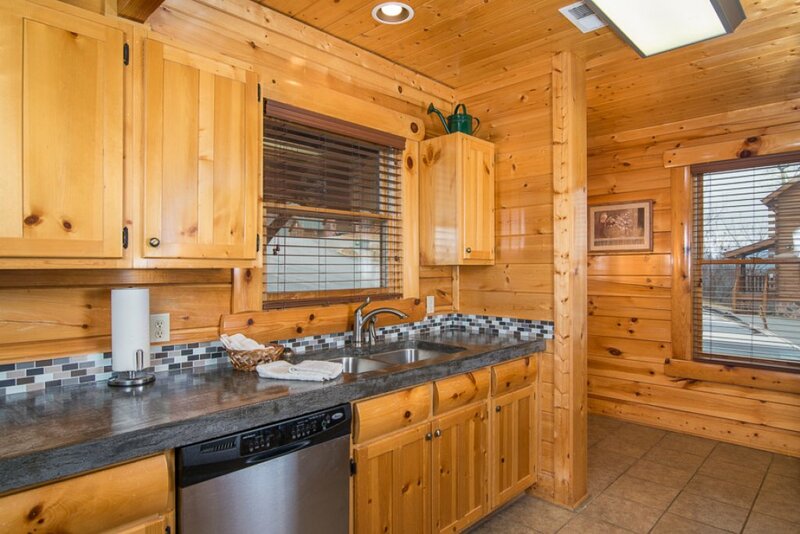 The kitchen has all that is needed to create memorable meals and features stainless steel appliances and granite countertops. 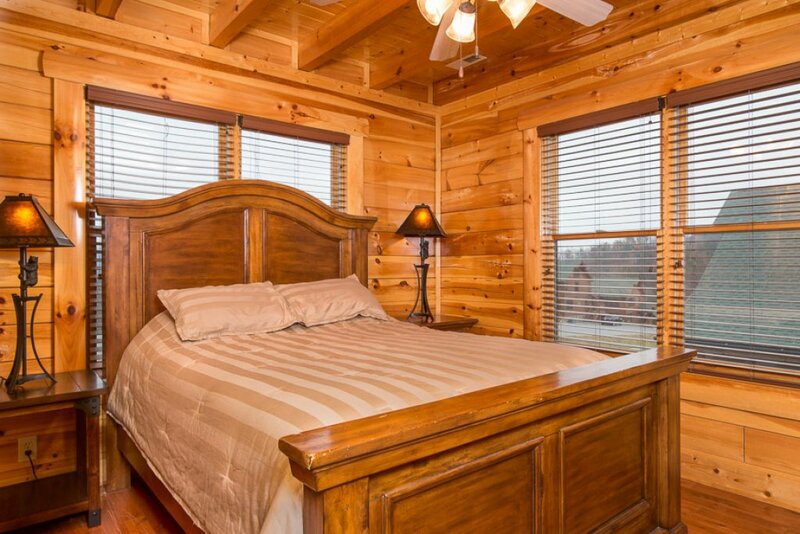 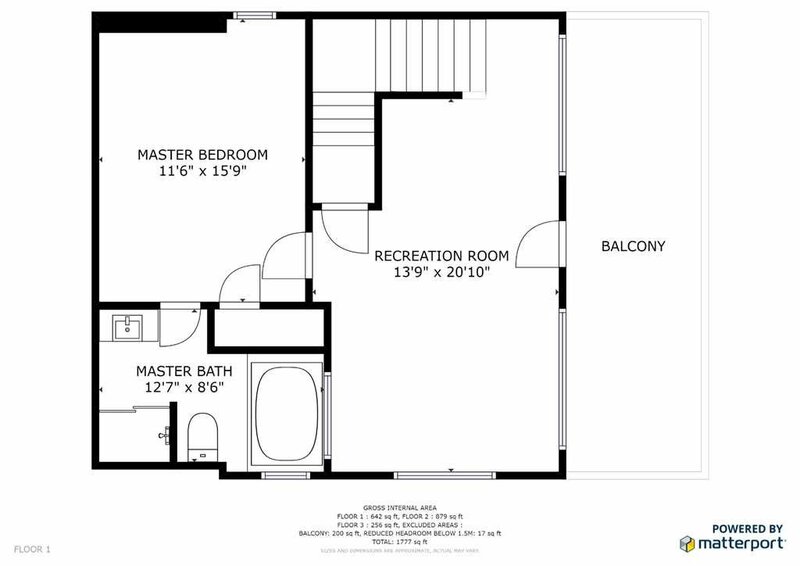 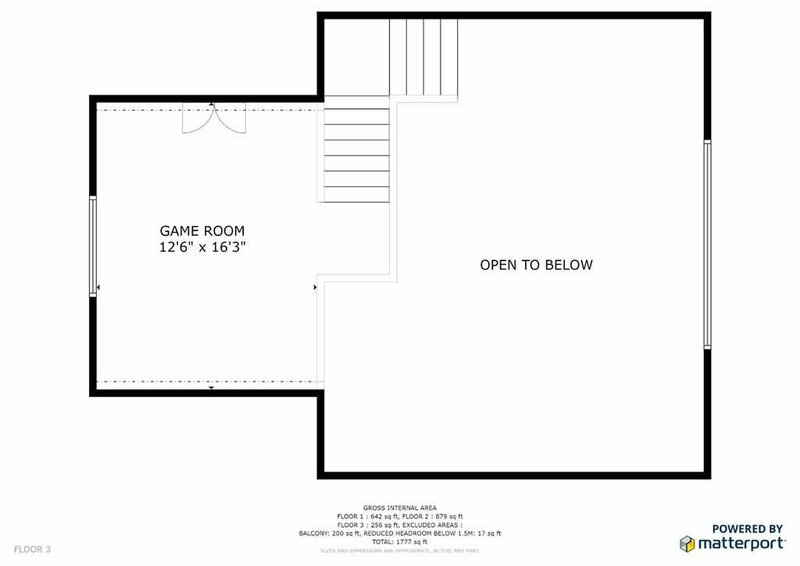 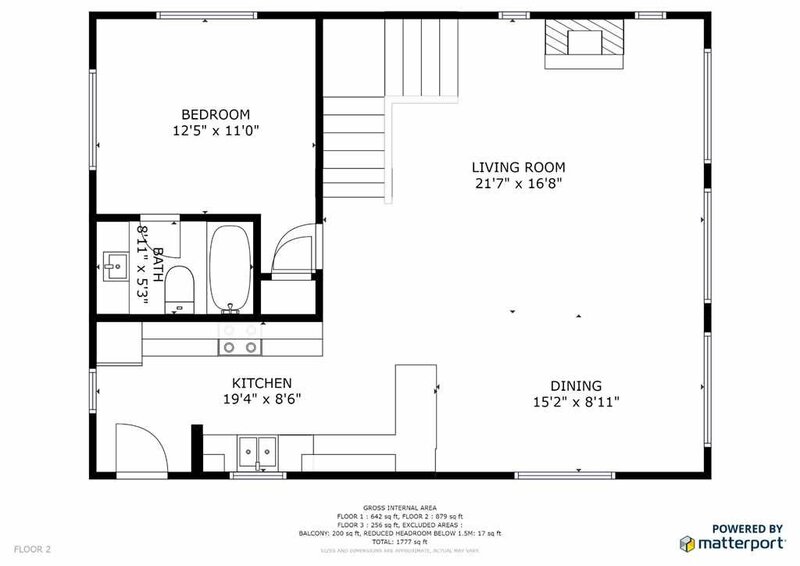 The master bedroom features a comfortable king-sized bed fireplace and attached bathroom. 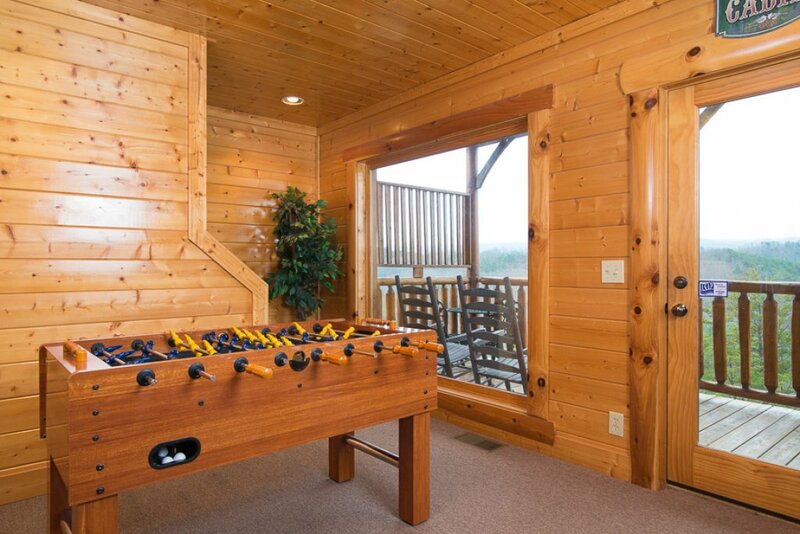 Blow off some steam playing a video game on the arcade system or with a game of foosball or challenge one another to a game of pool. 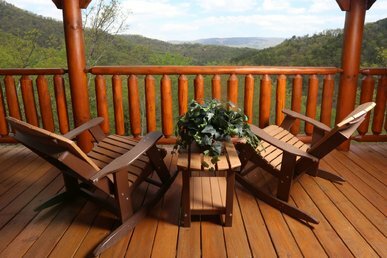 The views from the porch are breathtaking to enjoy with your morning coffee or in the outdoor hot tub. 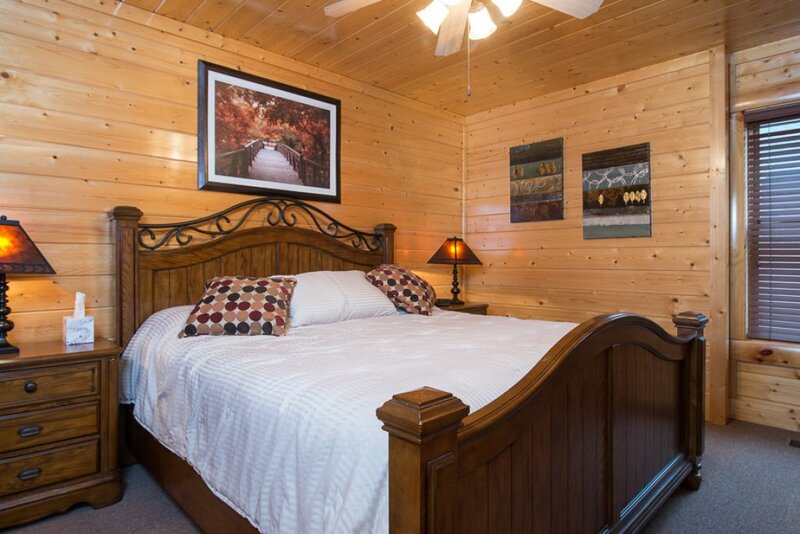 Look no further for your Paradise Retreat! 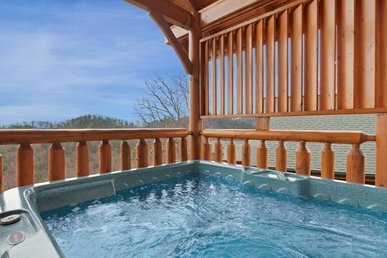 During your stay at Paradise Retreat within the immaculate Preserve Resort, guests can take advantage of the seasonal outdoor pool and hot tub. 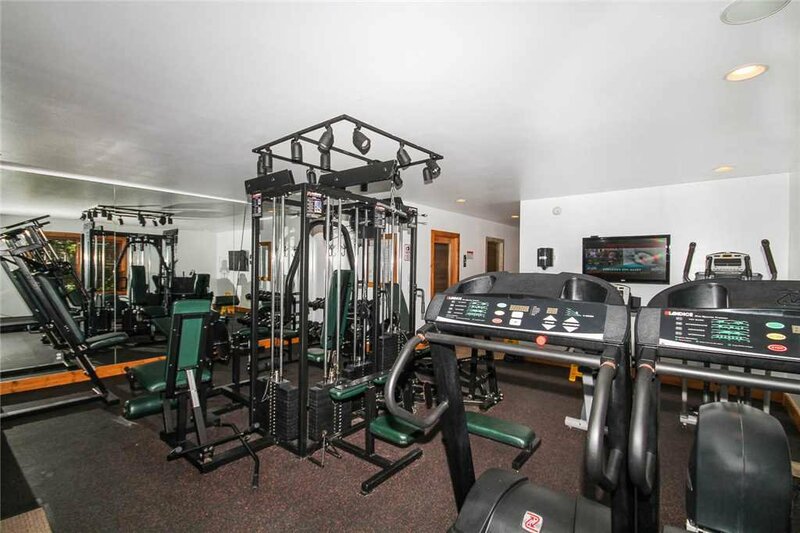 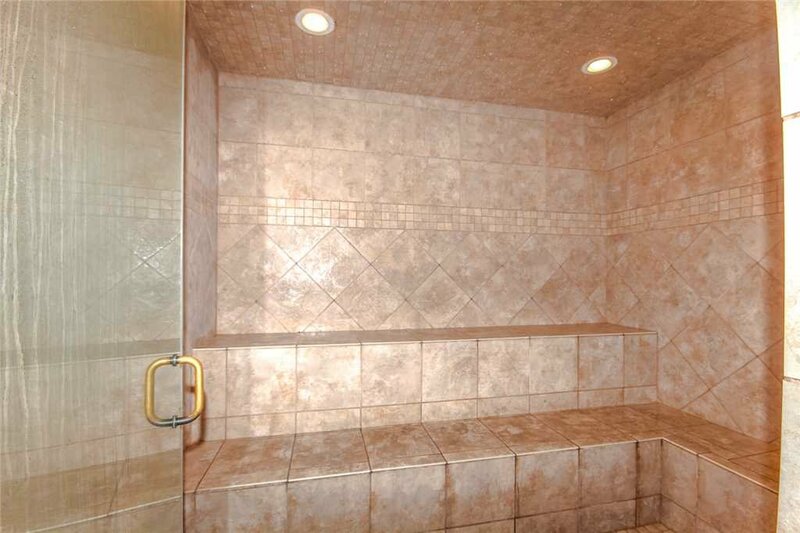 Keep up with your exercises using the on-site fitness center that features a sauna and a steam room. 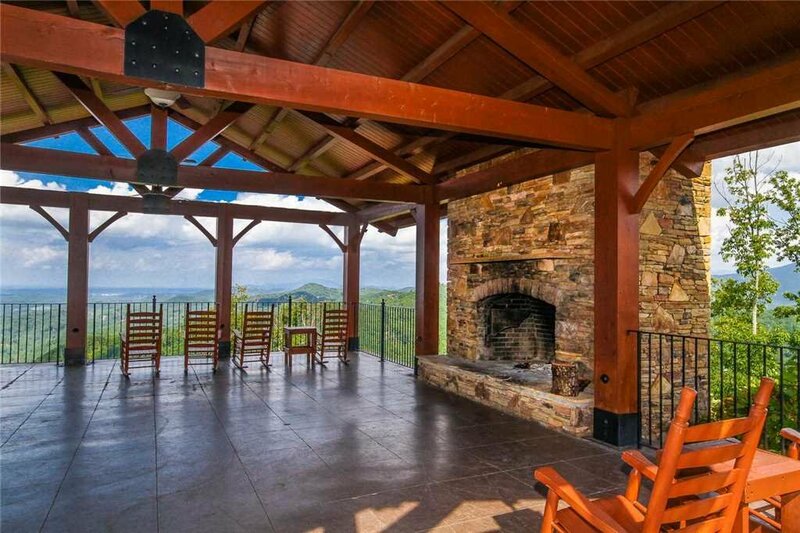 Stop in at the pavilion to overlook Wears Valley in all its majesty while rocking quietly in a wooden rocking chair. 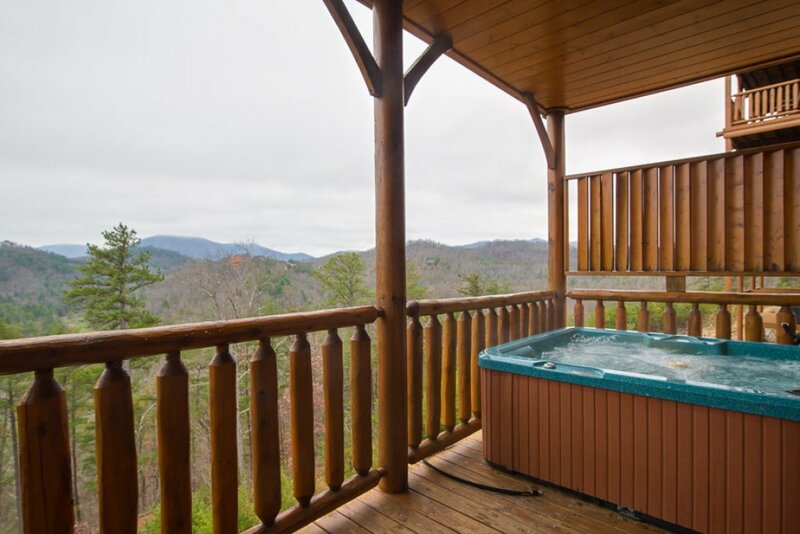 A gateway to The Great Smoky Mountains isn’t far from your stay at Paradise Retreat. 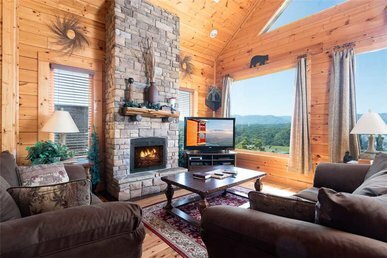 Venture into Townsend, the peaceful side of the Smokies, to browse the quaint shops, galleries and antique stores. 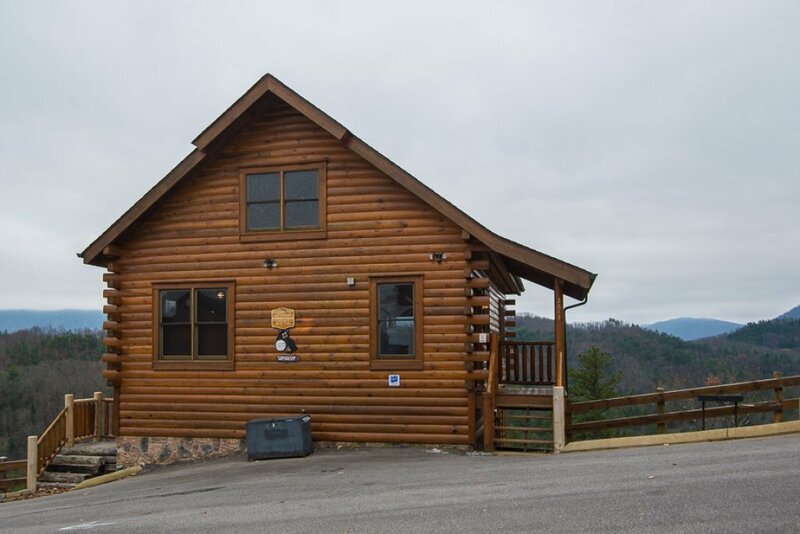 Pack up lunch and visit Metcalf Bottoms picnic area to begin your explorations into the Smokies. 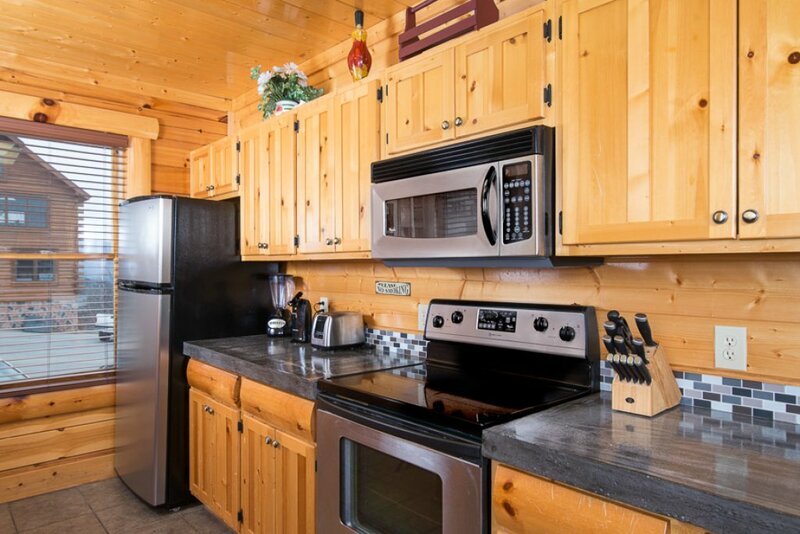 Hiking trails are easily accessible to stretch your legs from the picnic area or head out to trout fish in one of the many cool water streams and rivers. 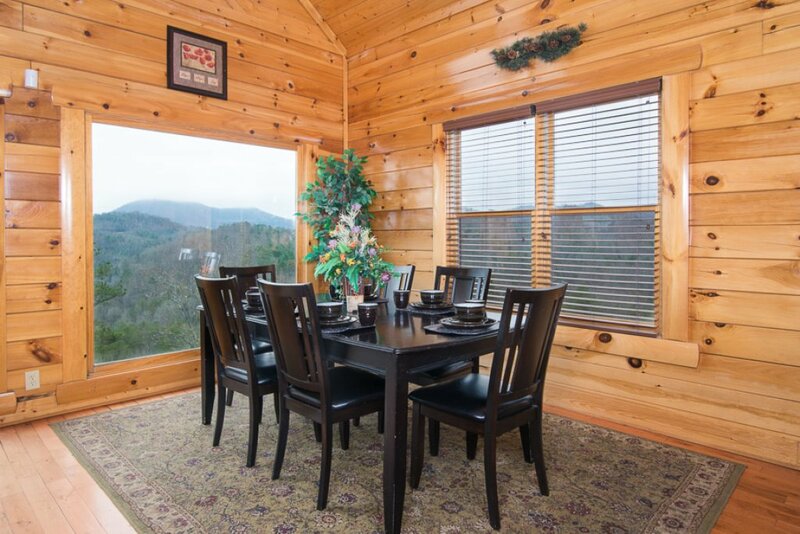 Ramble over to Pigeon Forge and Sevierville to continue your adventures with a stop at the Titanic Museum Attraction and receive your boarding pass to a voyage of discovery then grab some nourishment at Mama’s Farmhouse, with all you can eat family style meals. 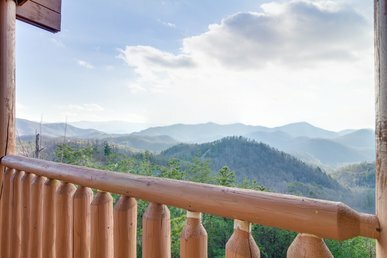 Catch a whimsical show at Country Tonite full of singing, dancing, patriotism and comedy and end the evening at The Island at Pigeon Forge and ride the Great Smoky Mountain Wheel which lights up with over 1 million LED lights. 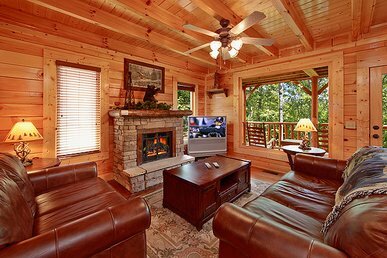 The charming village setting of Gatlinburg offers a wide variety of exciting festivals throughout the year. 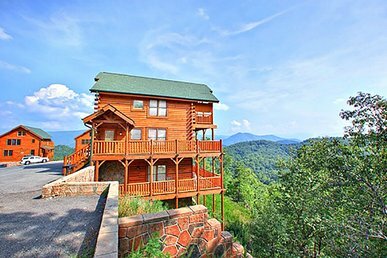 Tour the Great Smoky Arts and Crafts Trail, an 8-mile loop containing the largest gathering of independent artists in the country. 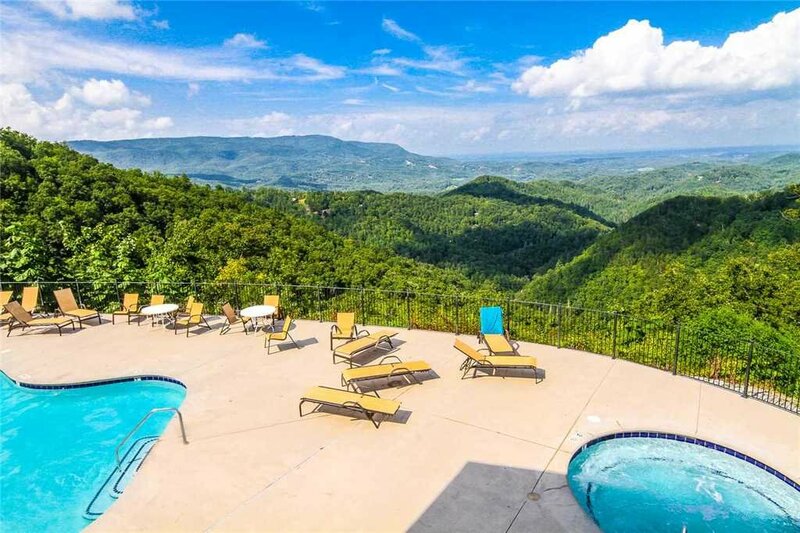 Feel as though you are submerged in the ocean with a visit to Ripley’s Aquarium of the Smokies underwater tunnel, play a game of mini-golf at Circus Golf…in 3D for 18 challenging holes in black light. 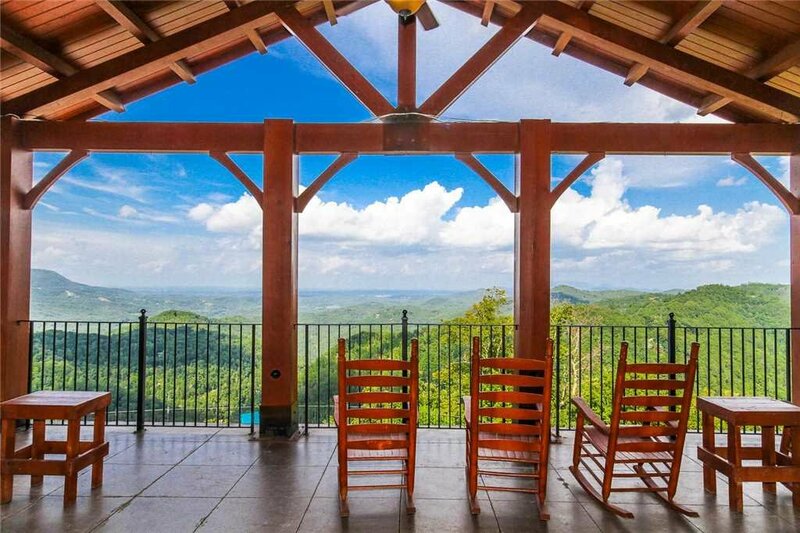 Catch the old Smoky Mountain atmosphere with a stop at Ole Smokey Moonshine Distillery to experience the sights, smells and tastes of the moonshining culture. 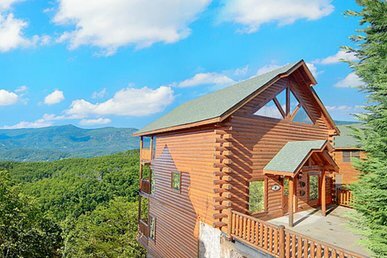 If adventure is first on your list of things to accomplish on your Smoky Mountain holiday, make certain to stop at Legacy Mountain Premier Ziplining for an eco-friendly zip adventure as you skim through the tree tops. 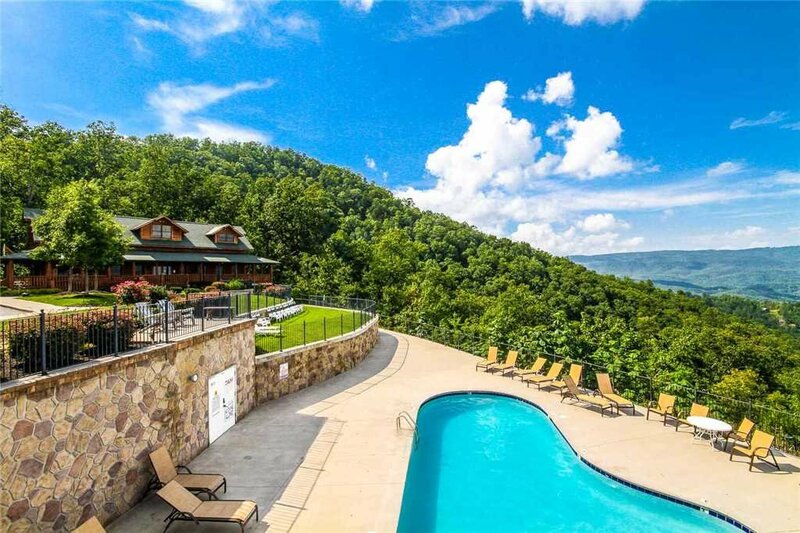 At Five Oaks Riding Stables hop on horseback for guided tours with spectacular views for all levels of riders.